I have recently moved down to Mossel Bay and I yet to find some great Avian Photography spots as well as nice spots for Landscape stuff….if anyone has any suggestions please let me know. Been to Mosselbay, more Gourits, which offers some landscape /seascape opportunities, but don’t know the area well enough to offer any real suggestions. From what I recall – there are some very nice spots on the beach for landscapes towards Knysna – I know this is more than an hour’s drive – but should be a nice day outing. 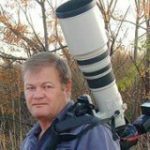 There is a guy in Knysna – Andrew Averley – perhaps look him up and pick his brains – he has done plenty along that stretch as far as I recall. Gourits is fantastic for the view as well as the birds. There are a lot of terns heading in around sunset and I have seen a black harrier there as well. The Hartenbos sewage works is great for birds as well. A lot of pied avocets and white backed night heron. If you are willing to drive Wilderness is always worth your while.